1. Train from Delhi to Agra, March 2004. The train from Delhi to Agra took just three and a half hours, by far the shortest journey of my entire Indian adventure. And the trip flew by faster still when I found myself seated opposite this bright-eyed, bushy-tailed duo. Working in Delhi as criminally underpaid call operatives, they were heading home to Agra for the weekend and seemed thrilled to meet me. Bespectacled boy was a big cricket fan, but despite my admission that I didn’t follow the sport, insisted on peppering me with queries I couldn’t answer (“How rich is Ian Botham?”). As we pulled into Agra I did the photographic honours and presented them each with a 50p coin, plucked from a little bag I’d prepared for such occasions. “God bless the queen!” cried checkered-shirt-boy, giving his gift a passionate, irony-free kiss. And off we went in our separate directions, never to meet again. 2. 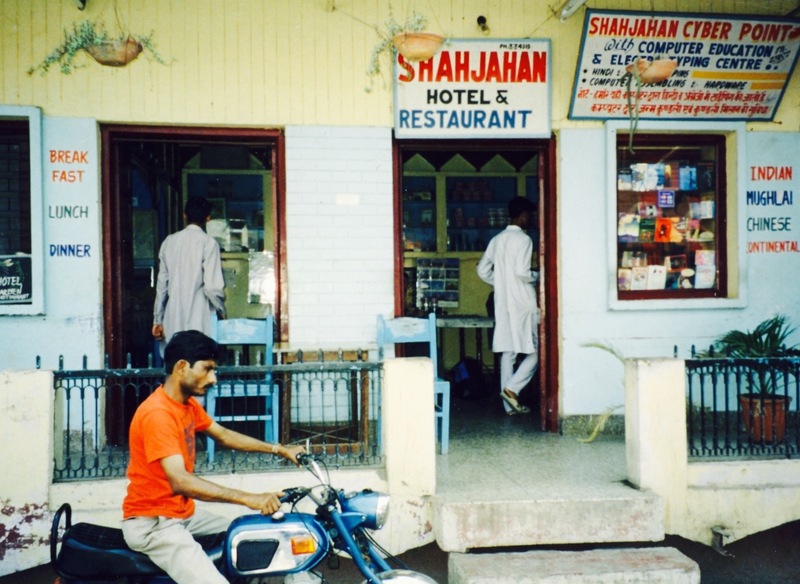 Shajahan Hotel, March 2004. Oh my dear, charming Shajahan, you sweet filth-ridden cesspit you! Despite the increasing sense of horror I felt upon arrival, I’ll always have a soft spot for this rickety old dump. Maybe it was its close proximity to the wondrous Taj Mahal, perhaps it was the cheap and cheerful morning pancakes,. More likely it was Guddu the eccentric, permanently stoned manager, pictured here posing atop his motorcycle. 3. Mona the Cycle Rickshaw Driver, March 2004. 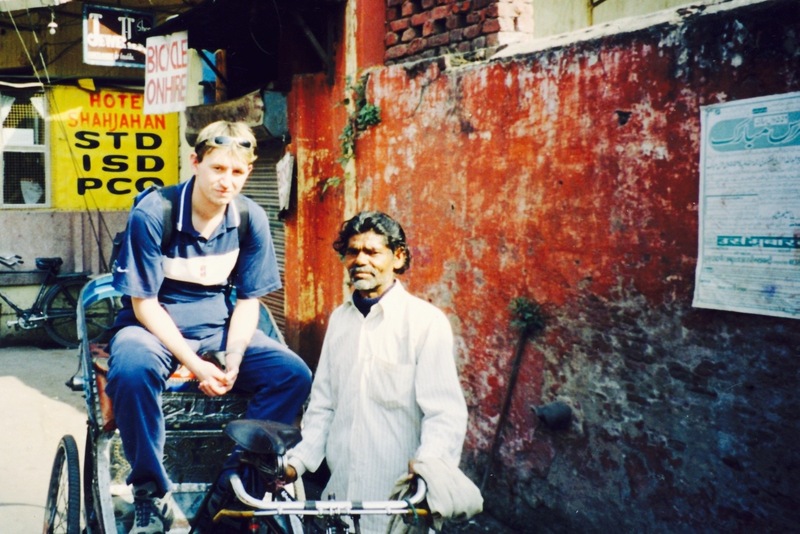 Getting hassled by rickshaw drivers was par for the course in India. There was something different about Mona though, a twinkle in the eye, an acute earnestness. We got chatting and he offered to drive me around town for a price so insignificant it seemed rude not to accept. We spent the better part of an afternoon taking in various spots of interest, while he happily took a nap as I ducked into Agra Fort for an hour. Dropping me back off at Shajahan, I attempted to balance out the shame of being carted around by an old man with a generous tip. Happily for my conscience, he seemed pleased. 4. Sha Jahan’s Prison Cell, Agra Fort, March 2004. Shajahan was an old emperor who became so devastated when his third wife Mumtaz died (giving birth to their fourteenth child!) that he had the Taj Mahal built in her honor. What a pity then that all he got in his own name was a crappy guesthouse. Having said that, ol’ Sha would’ve almost certainly preferred glass in the bed and an exploding toilet to this prison cell, where he sadly spent his final days. Deposed and imprisoned by his own son, a particularly cruel touch was that the cell’s solitary window overlooked The Taj sitting snugly on the horizon. 5. 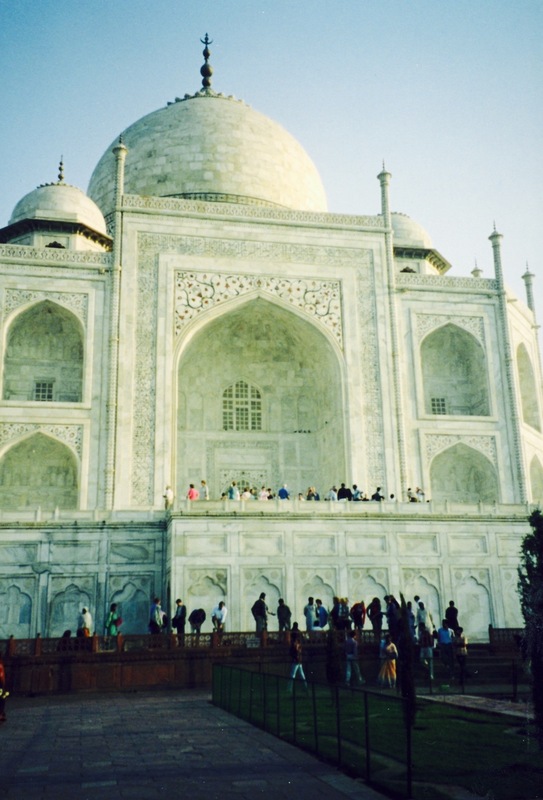 The Taj Mahal, March 2004. What is there to say about The Taj? Something I’ve heard time and time again over the years is the expression, “at the end of the day it’s still just a building”, mostly from people who have never been to Agra. It is just a building right enough, but it’s a pretty magnificent one that seemed to shimmer and float as I made the long approach through the Mughal garden. So enchanted was I not even the parasitic touts or McDonald’s bag-clutching Americans could ruin it. For more on that magical, long ago trip, have a look at my other 5s from around India. 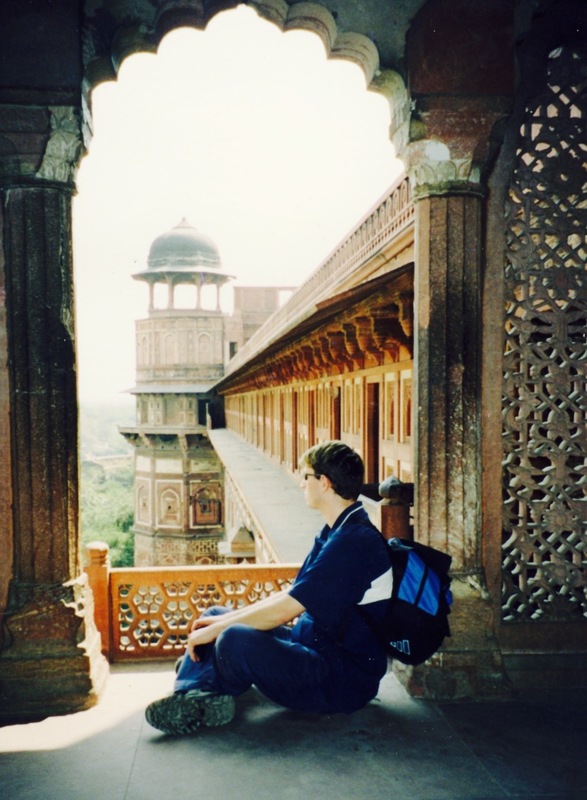 You can also check out my short stories from Agra, The Shithole and Same Same But Different. Both tales are taken from my collection Incidents in India. So young here! Lovely photo’s and descriptions. Can’t wait to visit India some day. 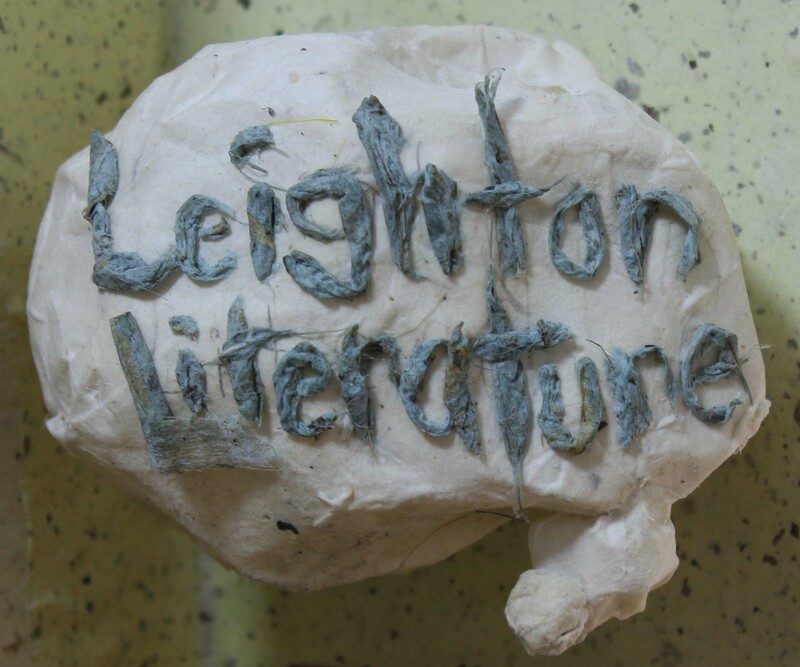 Thanks for posting these, Leighton. I enjoyed the captions. How are you doing, my friend? Thanks all. Mary, I’m doing just fine. I will be in touch soon with some long overdue news.